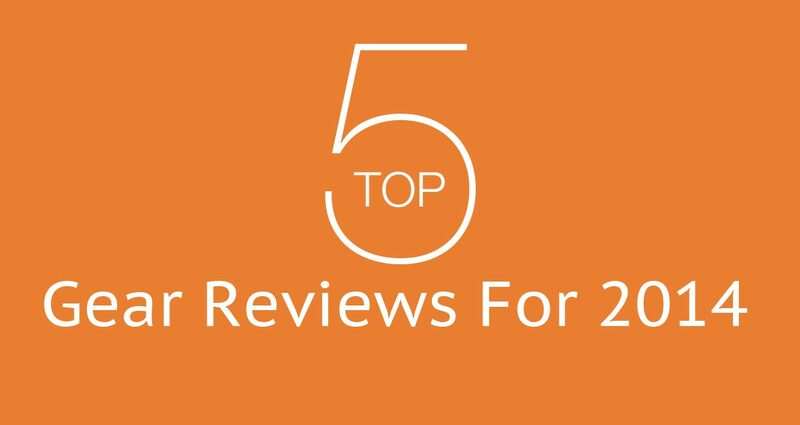 We've rounded up for you our five most popular DJ gear reviews for 2014. 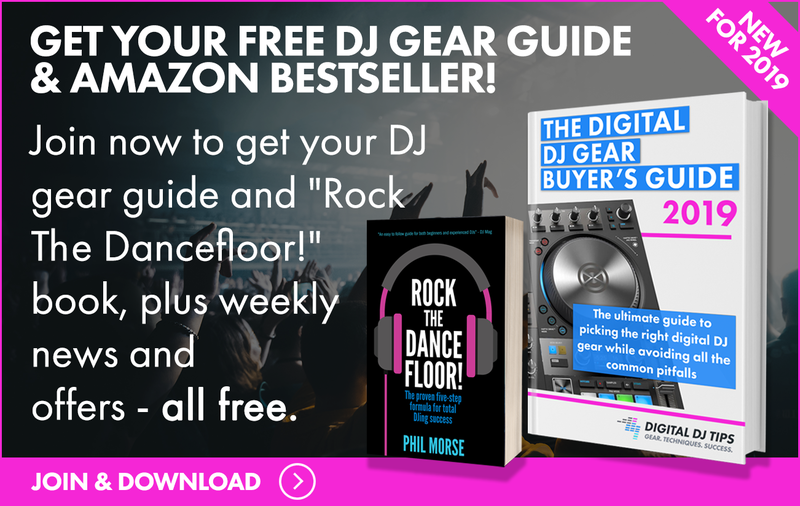 We’ve rounded up for you our five most popular DJ gear reviews for 2014 in this article. It’s been a fantastic year for us digital DJs; not only did we get a smattering of cool modular devices and software touchups, we also got a lot of brand new DJ controllers aimed at different price points and markets. 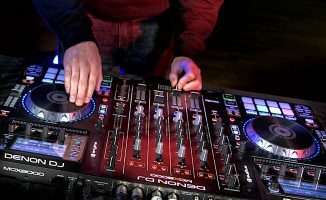 We’ve rounded up our most popular DJ controller reviews in this article for your reference, whether you’re game on spending your hard-earned Christmas gift money or you’d just like to stay on top of the best gear that’s come out this year. Native Instruments’ new flagship device stripped away the jogwheels in favour of more producer-oriented controls. This turned a lot of heads a few months ago when unofficial photographs were leaked in DJ forums, and reactions at the time were mixed. While its design isn’t groundbreaking (see the years-old Novation Twitch), those screens sure are, and it sure is controversial: As Native Instruments’ brand new flagship controller, this is the singular device that’s supposed to carry the torch for its “#futureofDJing” vision for the coming years. 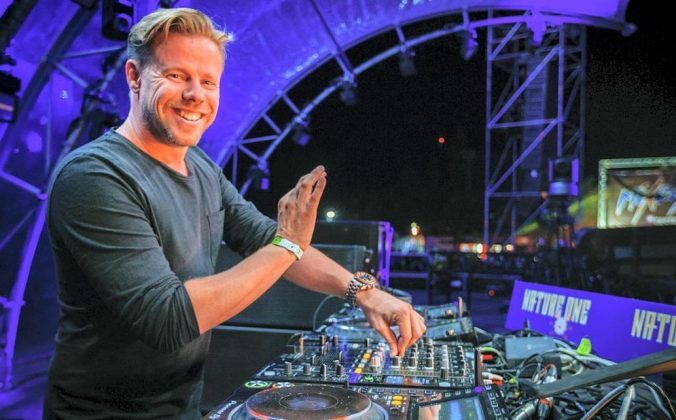 A mainstream DJ manufacturer removing something as traditionally essential as jogwheels from the equation sure is a gutsy move, but was it the right one to make in the current DJ controller landscape? 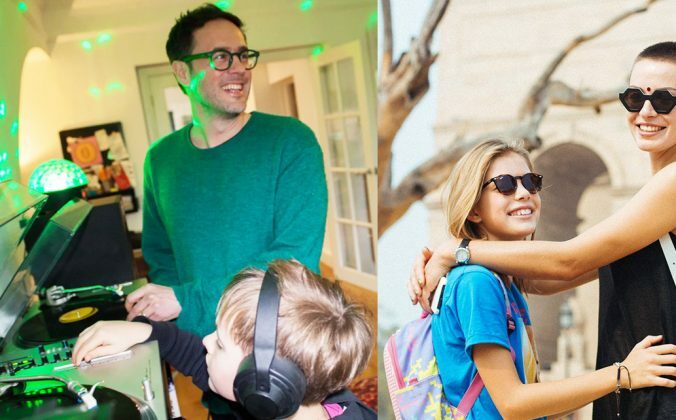 Again opinions are mixed, with some of you readers agreeing that this is going to take digital DJing into a new, more producer-oriented realm, while some dismissing it as a gimmick. Our take? It’s a solid, full-featured device – if you’re up for it. 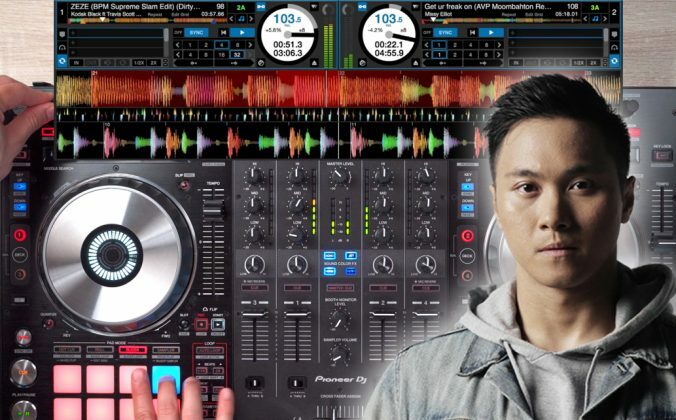 The largest DJ controller to date, Pioneer’s DDJ-SZ is the company’s take on what a club-standard, fully-professional DJ controller should look, feel, and perform like. 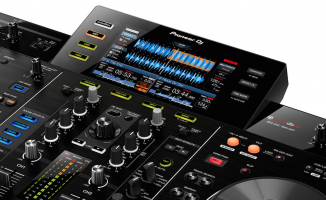 It seems like 2014 was the year for flagships: When everyone thought Pioneer DJ had already kicked into its highest gear by releasing the then-largest DDJ-SX back in October of 2012, the company surprised everyone by churning out an even larger DJ controller that mimicked the functions and size of a CDJ / DJM club set-up. The DDJ-SZ is a monolithic controller for DJs who want full size jogwheels (as large as the ones on a CDJ2000nexus), a four-channel hardware mixer with onboard effects and an oscillator, and dual-USB jacks for back to back DJ sets. 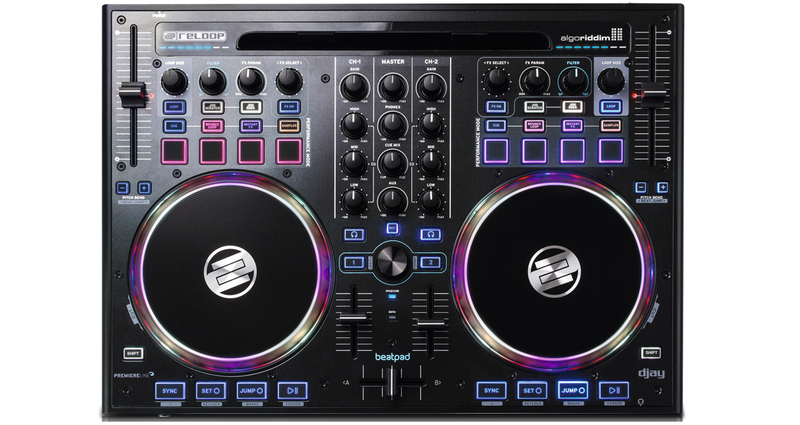 It was the most expensive DJ controller out there when we reviewed it, and it still is, with an almost US$600 difference between it and Numark’s NS7II, which is a behemoth all in itself. 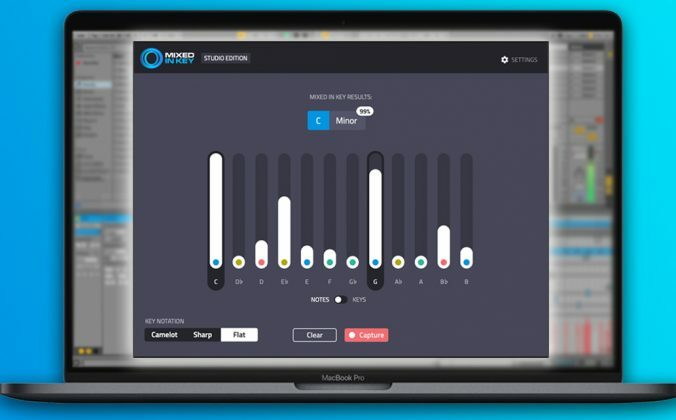 Originally shipping with a full version of Serato DJ and Serato DVS compatibility, it now comes with a full version of Virtual DJ 8 as well, opening the controller to more software possibilities. While it may prove too cumbersome to haul around for your weekly bar gig, it sure is mighty impressive; you won’t be getting any rude comments about “having a play with your DJ toy” when you’ve got your hands on this one! 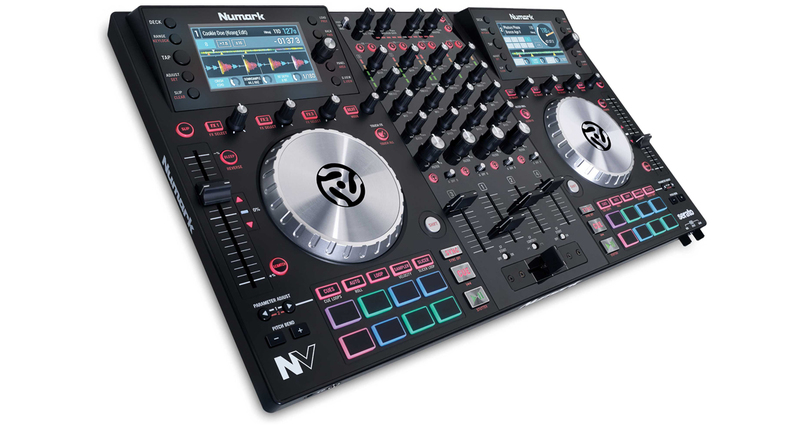 A great controller on its own, the Numark NV sets itself apart by having two display screens onboard. It’s been a long time coming, especially for DJs who are just plain tired of having to look at their laptop screens instead of their crowd while performing: The Numark NV is the company’s first DJ controller that comes with onboard displays, and it caused quite a stir when it was officially announced because it seemed to hold the answer to the digital DJ’s age old problem of screengazing. While the Numark NV in itself is a well-specified controller, having two high-resolution displays on it just takes the controller into a revolutionary new category for DJ controllers, one that we see beginning to be populated in 2015. Numark’s ace here is that it was first to market (NI’s Traktor Kontrol S8 came out a few months after), and certainly got the attention it deserved as a result. Adding to the impressive feature set is the fact that it costs under US$700 just makes an already sweet device even sweeter. The only high quality DJ controller for iPad jocks running djay that came out this year. Reloop may not be the biggest DJ brand, but its controllers are generally very high quality. The Reloop Beatpad was quietly introduced in January this year, and it’s become a noteworthy and rather popular DJ controller because it was built specifically for use with Algoriddim’s djay 2 running on an iPad, and now works excellently with Algoriddim’s new djay Pro for Mac. The hardware feels and plays like a premium specified device, and although using it with an iPad (and now djay Pro) is a big selling point, it can also be used with other DJ software on your laptop as long as you map it. 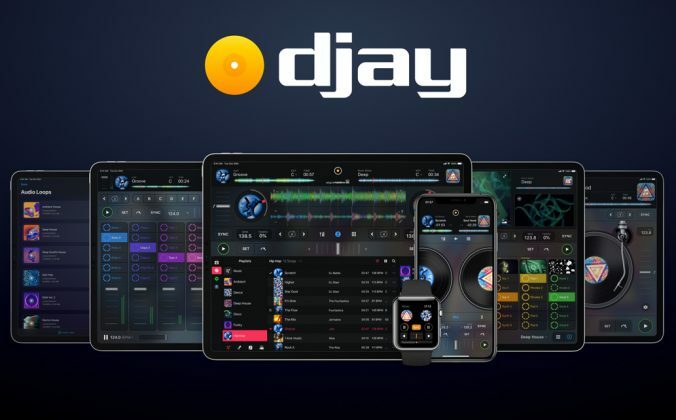 With Algoriddim integrating Spotify into djay2 / djay Pro, the platform is an enticing system for portable DJing; as long as you’ve got an active WiFi or 3G/4G connection and a Spotify subscription, you can have access to millions of songs on demand. The Pioneer DDJ-SB is aimed at beginner DJs who need serious-looking kit and Serato DJ compatibility. 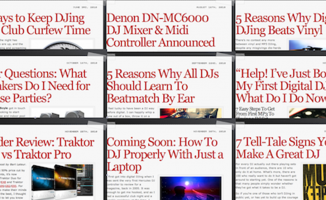 Pioneer’s been ticking a lot of boxes with digital DJs this year, it seems. The Pioneer DDJ-SB is the second controller from our friends in Tokyo, and is aimed at entry-level / beginner DJs who want have a go at DJing without their kit looking like it belongs in a department store’s toy section. 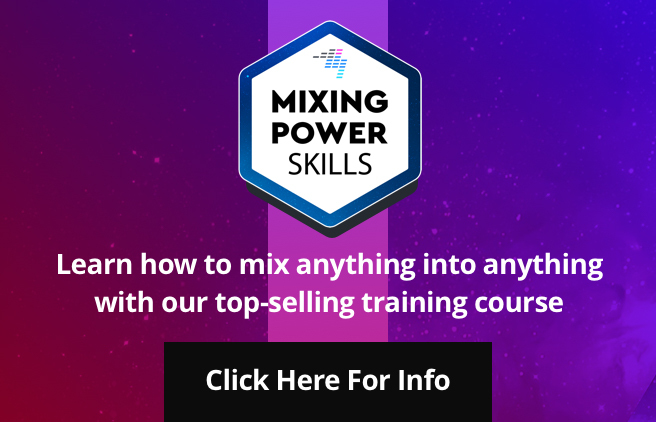 This struck a chord with a lot of digital jocks because it’s compatible straight out the box with Serato DJ (it ships with Serato DJ Intro, so you need to upgrade), and for a relatively small spend you’re getting more than decent jogwheels, a mixer section that includes filter knobs, and pad control for cue points and transport. 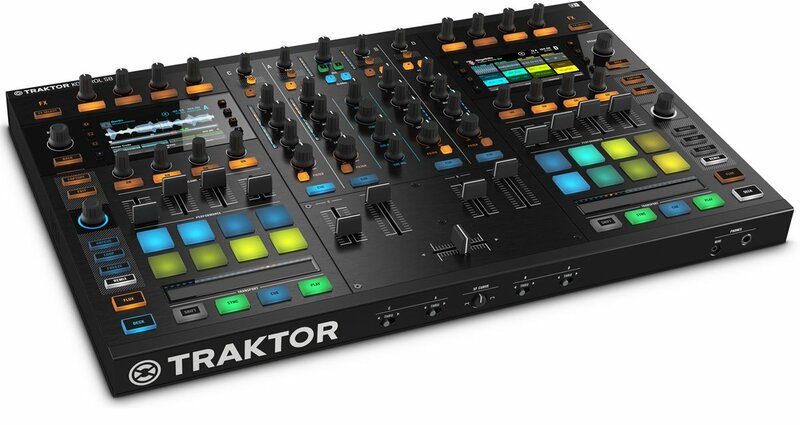 A big factor in this controller’s popularity, in our opinion, is that it looks like a professional piece of DJ gear that takes cues from some of Pioneer DJ’s best: No cutesy or gimmicky colourways (at least when it first launched), just a matte black, faux-brushed metal look on the top. It’s small compared to the company’s other controllers, but not too minuscule for passersby to doubt its legitimacy, and it’s also got a pair of some of the best jogs in its price category. Highly recommended. Have a controller in mind that didn’t make this list, but you think should have? Which controller didn’t meet your expectations this year? We’d love to hear from you in the comments section below. i am working with vestex vci 400 and serato . unfortunately i cannot record my radio show because apparently the sera to and the vestex doesn’t record microphones along with the music mix. do you have a solution for me that will not include recording in 2 software? The Mic input bypasses the software and is routed in the VCI-400’s hardware, so you won’t be able to capture it with Serato’s in-built recording. Plug your booth output into the computer’s microphone input and use something like Audacity to record instead. 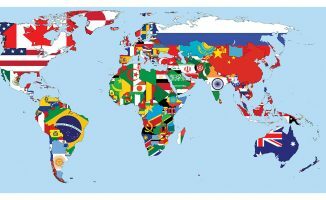 Why is this question being posted here though? Would love to see an update to the SCS.4DJ! When the Native Instruments S8 came out, I thought “When did Native Instruments but Novation?” Because the design was so similar. Sure, there are some nice improvements on the S8, but the S8 doesn’t have support for Serato DJ, which (to me) still means the Twitch is more flexible, I’ve been hoping for a Twitch V2, but I’ve heard nothing but silence and no response to the S8. The Twitch is an iconic controller, but it has been basically ignored since it’s been released. I’d expect nothing less than Novation to make a hybrid Live Producer / DJ unit (almost everything else Novation makes is a keyboard or trigger pad). I would not be surprised if Novation released a modular kit that would handle: Video, DMX lighting, a (Focusrite usb soundcard) 8-12 channel mixer, and (full color, edge and velocity sensitive, LED) “Launchpad 2” with touch screens in place of touchstrips working hand-in-hand with Ableton 9 and Serato DJ. This is my wish list at least. 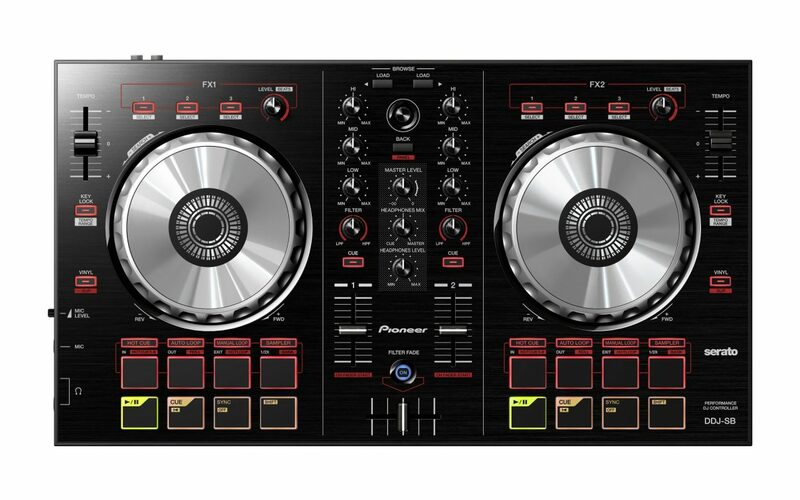 I would add the Pioneer DDJ-SX2 to this in it’s own right. It sits right between the SB and SZ as it could be used as a semi professional mobile controller. The SB can’t be taken seriously in a club and the SZ if far to big to be lugging around everywhere.